Drones or UAVs are designed with capabilities to fly in air without a pilot. Their movements are mainly controlled by a remote unit in most of the cases whereas few highly advanced designs are operated from computers. There are so many varieties of drones that you can easily find in world and all of them are working for different applications so we cannot define any set criteria for their classification. Depending upon the need or applications, they can have variable size and design. One of the most common applications of drone technology is in military as it helps to control surveillance related issues with ease. Places where humans cannot enter directly can be easily monitored by an air flying unit and it can also capture photographs of critical locations. Here we are going to discuss various types of drones and for ease of understating they are categorized into four basic sections: Numbers of propellers used inside, their size, flying range and equipments. The most common construction in rotory type drone use to be multi rotor type designs that have many rotors for holding its position but in case if single rotor model you will find just a single rotor inside. Another one will be a tail rotor that simply assists to provide control to the heading. In case if you have a mixture of hover possessing heavy loads but need a faster flight time with longer endurance then single rotor type helicopters can be best choice for you. There are three different types of powerful motors inside a tricopter, three controllers, four gyros and only one servo. The motors are simply placed at every extreme end of three arms and each one of these is holding a location sensor. Whenever you need to lift your tricopter, it is essential to initiate a movement in throttle lever, the gyro sensor will immediately receive its signal and will pass is directly to controller that helps to control motor rotation. A tricopter is able to stay stabilized on its path as it is equipped with so many classic sensors and electronic stuff itself. You need not to apply any manual correction. When a multirotor is designed with four rotor blades then it becomes quadcopter. These devices are usually controlled by specially designed brushless type DC motors. Two of the motors use to move in clockwise direction whereas other two run in counter clockwise direction. It helps to decide a safe landing for quadcopter. The source of battery for such devices uses to be a lithium polymer battery. Hexacopter will serve you for many potential applications with its 6 motor mechanism where 3 work on clockwise direction and other three move in anti clock wise direction. Hence, these devices are able to gain higher lifting power as compared to quadcopters. You need not to worry about its mechanism as it is designed to serve as an extremely safe landing craft. Octo means eight; so octocopter is going to serve you with its powerful eight motors and that send power to 8 functional propellers. This craft naturally have much flying capabilities as compared to units discussed above and are also highly stable. You can avail a stable footage recording with octocopters at any altitude. These devices find application in the world of professional photography. Here is entirely different category from all above units. There designs are quite unique as compared to commonly used multi rotor type drones. You will find a wing on them and they appear like traditional airplanes. These drones are not able to stand stable in air as they are not much powerful to fight against gravitational force. They find their applications in movement related recording where they can move forward as per capabilities offers by their inbuilt battery system. Most of the designs of drones available in market are quadcopters because they are able to lift huge weight without any additional engineering adjustment. It is the most cost effective solution to most of your needs. They can be designed with a common size range varying from a large sized insect to a 50 cm long unit. Two most common designs in this category are: Mini Drones and Nano/ Micro Drones. The nano drones are widely used due to their tiny structure and light weight construction as they work like essential weapons for spying. 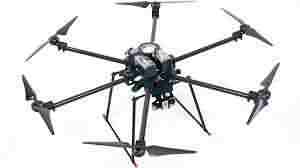 They have a size little bigger then micro drones that means will go above 50 cm but will have maximum 2m dimension. Most of these drone models are designed with fixed wings type construction whereas few can have rotary wings. Due to their small size they lack in power. This category of drones presents heavier units but are lighter and smaller then aircrafts. These drones can carry weight up to 200 Kgs and have average flying capacity of 5 to 10 minutes. One of the most popular designs under this category is UK watchkeeper. Large drones are somewhat comparable to size of aircraft and are most commonly used for military applications. Placed that cannot be covered with normal jets are usually captured with these drones. They are main device for surveillance applications. Users can also classify them further into different categories depending upon their range and flying abilities. They act like a favorite toy for most of the kids. They are able to fly up to 5 Km with fly time of 20 to 45 minutes when equipped with powerful batteries. Some of the most commonly used units in this category are Raven and Dragon Eye. 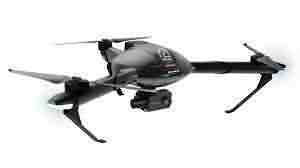 Such drones are able to fly up to 50 Km with a battery backup of 1 to 6 hours. As they can work for longer durations and can cover far distances so they find their applications in surveillance missions. 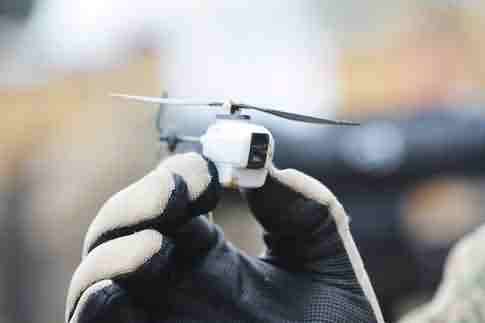 They are little superior as compared to close range drones so are commonly use for military applications. They are able to travel up to maximum distance of 150 Km that means coverage is almost 100Km more than that of close range drones. The estimated flight time for short range drones is 8 to 12 hours so they are useful for reconnaissance and spy applications. This category of drones is much powerful as compared to all discussed above. They are well known as high speed drones that can cover area up to 650 Km. Mid range drones are commonly used for surveillance applications and some basic type under this category work for meteorological data collection needs. Here is the best collection of drones that has impressive flight time of 36 hours and can go up to maximum height of 3000 feet above sea level easily. These drones are popular for high end surveillance applications. Most of action camera lovers and shooting experts love to buy drones equipped with camera to capture classic shots at tough locations. The film making industry is utilizing them commonly for movie footage. Within last few months these drones have suffered huge fall in price range so more number of buyers are excited to pick for routine use. You can easily buy one in the price range of $100 to $1000 only. Most of the action cameras these days are manufactured with special drone mounting capabilities. FPV here stands for First Person Viewing- a very common application of drones that are capable enough to record things like viewers are watching them on real time basis. It is possible to control these drones by sight with the help of a portable monitor. 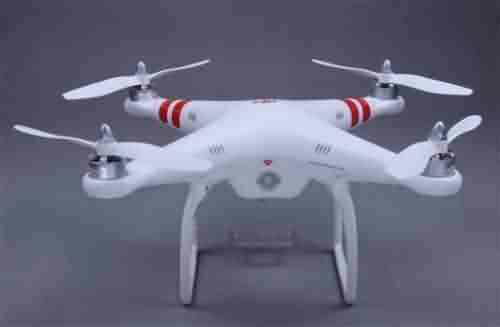 These drones are commonly used in film industry and for face to face interview shooting needs. These units are gaining more and more popularity these days as they are capable enough to capture location information on the go. You can send this drone to record scenes at any fixed location as they are highly stable and they will come home after completing task. The most interesting thing to know is that they will remember the last shoot location and can be sent again to the same position for next shoot. Gyroscope technology is majorly developed for improving flight capabilities of drones. Currently, device shave been designed with six axis type drone stabilization feature so that your device can stay stable in air and can manage movements at steeper turns. These devices can follow instructions instantly and will perfect impressively for all shooting needs. Its central flight control mechanism assist users to enjoy easy navigation options so that targeted footage details can be gathered.